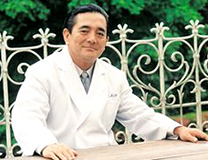 In accordance with its concepts and aims for the future development, Fujita-Gakuen Health University has included, on the occasion of establishing its School of Medicine, comprehensive medicine (CM) for senior students as a mandatory subject in its unique curriculum. It has, moreover, established an Institute for Comprehensive Medical Science (ICMS) consisting of research divisions in the form of project-teams that we hope will develop into a spearhead of modern medical research. Our concept of CM differs basically from that proposed by Iago Galdston (“What is Good Service?” Medical Annals of the District of Columbia, 18, 2, 1949), who speaks of CN as a part of the English system of social medicine. We, on the other hand, by CM mean a concept of medicine as something that diagnoses and treats a patient as a whole man and not parts of him. Advances in clinical medicine have brought greater sophistication, but they have also brought greater subdivision into different specialized areas, making it increasingly difficult for the student to study and comprehend the whole. The CM which we propose is not the general medicine in contrast to specific medicine, but may be considered as the medical science which tries to comprehend and understand the illness of a patient as that of the whole man, i. e., the whole man medicine which links to the whole man education emphasized in our University since its establishment. The conception of the CM is to appeal the importance of duality and reversibility of differentiation and integration in the medical science to the specialists who treat and study the parts of whole man. We must always be on our guard against “curing the illness and killing the patient”, “train a twig and blast a tree”, and remember that primary medical care at the highest level remains the prime object of CM as we conceive it. Our second objective is to establish a clear division of labor between basic research and clinical medicine. If, as outlined here, there is a lively exchange of information between basic and clinical scientists who work together in the research divisions of the ICMS, the standard of research will consequently rise, while its practical application in the clinical field will also be facilitated. While it is important that each department of clinical medicine aims at the greatest scientific precision in patient care, it is equally important that it does not lose sight of medicine’s basic aims. This, however, does not mean that the study of basic medicine should be regulated to whatever time is left over from clinical work. Conversely, if research workers participate in clinical duties they too run the risk of “falling between two stools.” Indeed, the only viable means of promoting the study of basic medicine at an advanced level in departments of clinical medicine is to encourage collaboration between clinicians and those engaged in basic research. A highly flexible and negotiable relationship of this kind between basic and clinical studies also promotes economy of research effort by sharing equipment and facilities. This flexibility can, however, be realized only under the leadership of someone of outstanding ability who also understands the importance of the role of teamwork. In the context of ICMS, it is also essential for the proper motivation not only of heads of division at professorial level but also of all members of the staff, that they be characterized by an attitude of open, sincere cooperation in their work, and by unselfish loyalty to the group’s objectives. We confidently expect outstanding achievement of young scientists engaged in research in an environment informed by such a work ethic and carried out under the guidance of an inspiring scientific leader who places due emphasis on the priority of teamwork. Of course, when having a keen composition with other research groups, one should bear in mind the Sun-Tzu’s tactics “Don’t reveal one’s plan to others.” At the same time in a challenging job of research, if malcontents or disturbing elements who make the fighting spirit and strength of the laboratory lose should interfere unlawfully, we should have a resolution and bravery to evict them. Research and education are mutually dependent. To have them put on a good circulating circuit, bad circulation is to be broken. Further important is that, especially for effective systematic activation of Institute, not only professors of each research division but also all the staff must be open and frank, endurable for fearful competitions, suppressive of themselves, and with frontier spirit of helping others at least in the group. University education must be more than the mere mechanical dissemination of knowledge; it must impart to students a sense of excitement and wonder at the amazing advance achieved by modern medical science. Despite this, the curricula of Japanese medical schools have remained unchanged for over half a century. This is the anomalous situation of medical education in present-day Japan – a situation that does not permit even a private university to introduce the sweeping reforms which it, considers necessary (on the model, e. g., of the medical school of Case-Western Reserve University in the United States). A basic university curriculum for medicine must be continually receptive to advances in medical science, thereby arousing the intellectual curiosity of the young. The study of medicine should not be fragmented into general subjects and the basic and clinical sciences; rather, the contents of the curriculum should reflect fundamental interdisciplinary links. All subjects which properly comprise a medical education form a strongly bonded “organic matrix” – although this may perhaps be impossible at present. The study of medical science is still, in principal, divided into the two areas of basic and clinical medicine and their subdivisions – leaving, as it were, the great mysterious river of the life sciences flowing between them. What is indispensable for any meaningful realization of CM is to bridge, wherever possible, the two fields of basic and clinical science bordering the banks of the great river of life science, from which both derive their irrigation. It should also be taken up urgently to conduct a waterway to the new discipline that established a profession in the middle of subjects of basic and clinical science. It is for the above reasons – and to have a project team to coordinate research – that we have inaugurated on the occasion of establishing the School of Medicine the ICMS as an institute indispensable to medicine and hygienic science. 1. The Institute aims at: (1) filling the gaps left till now in the curricula of the University School of Medicine and Hygiene; and (2) unifying research in the basic and clinical sciences. 2. The divisions that form this Institute are to be dedicated to biomedical research on those illnesses which are most feared by mankind and for which it most urgently requires new forms of diagnosis, prevention and treatment. 3. Each research division will accommodate as many qualified young guest workers as possible who are interested in team-research on a theme proposed by a head of division in order that it promotes collaboration with other researchers in general science, basic and clinical medicine, and breaks down the traditional sectionalism characteristic of all medical schools. 4. Except for the initial expenses necessary for setting up research division and providing major equipment for shared use, each division will in principle finance the running costs of its research with the aid of external funds. 5. The research divisions of the Institute will consist of project-teams pursuing a research objective with the help of teams of researchers of appropriate ability. These teams can be assembled for the purpose of research and dissolved after the research target had been achieved or in the event which the workers of appropriate ability can be sought for.